Try my creamy smooth lemon chamomile lip balm recipe and your lips will thank you! Do you go through a lot of lip balm? I like to apply it all day long to keep my lips soft and moisturized. I keep pots and tubes of lip balm in my car, nightstand, laptop bag, even in a drawer in my office. Yet, the problem is buying organic lip balm can really add up. But, can you make a lip as good as the store bought kind? This post contains some affiliate links for your convenience. Click here to read the full disclosure policy. If you searched for one or all the above – I’ve got you covered! 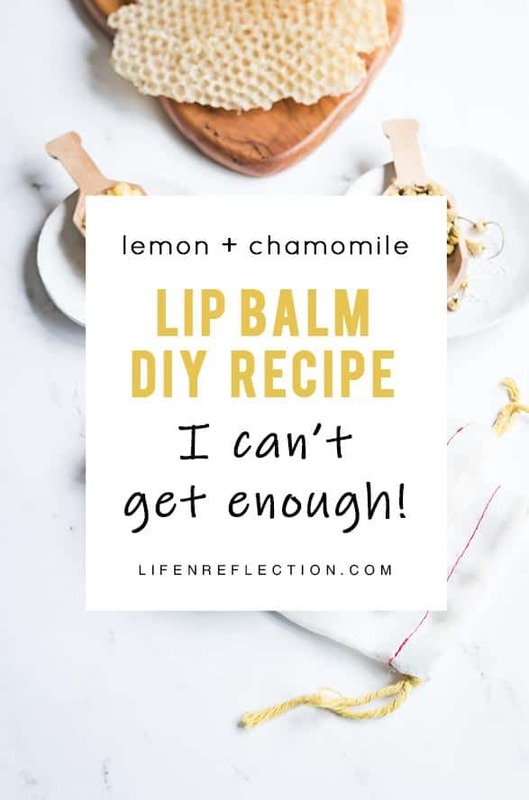 Because I’ve included each ingredient and purpose in this incredible softening lemon chamomile lip balm. I’ve done the research to find out what the best ingredients for a homemade lip balm are. And after making several DIY lip balms over the past couple of years I’ve found the answer. 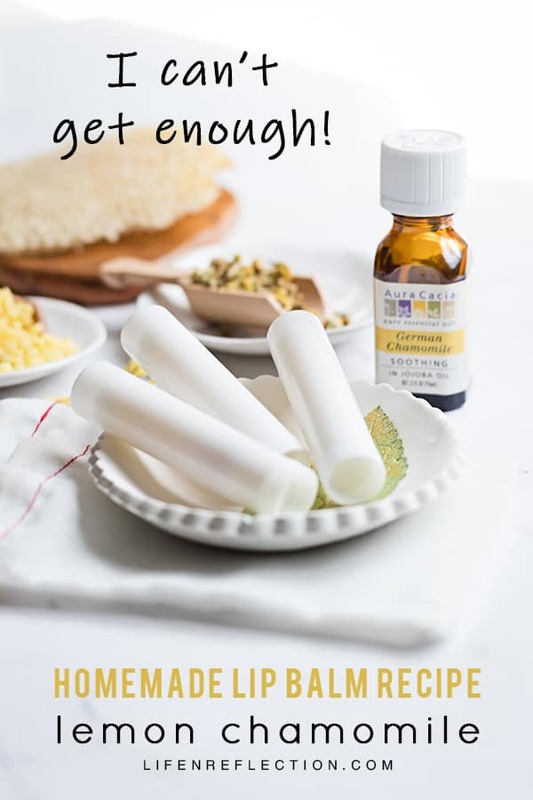 And I can assure you, once you see how quick and affordable it is to make your own, you won’t go back to store-bought lip balm again! Also known as refined shea butter and unrefined shea butter. It has a soft texture and pale color (just what we want for lip balm). And is high in vitamins E, A, and F. Shea butter is a nourishing and intense moisturizer, known for healing cracked heels, dry scalp, and eczema. With a melting point of 90° F, it melts on contact with skin. Perfect for lip balm, right! Natural beeswax is an excellent way to thicken beauty products. I use it make salves and lip balm. It’s a strong antiseptic that reduces inflammation and inhibits the growth of bacteria on the skin (let’s say it might help keep the sick bugs away). 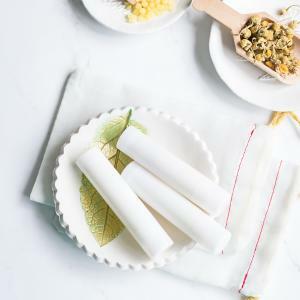 The pellets also known as beeswax pearls are very easy to measure out and use, versus cutting or grating a bar of beeswax. You can find it here in a one pound bag of beeswax pellets. And did I mention, it won’t give you a waxy buildup in the corner of your mouth? Take it from the skincare experts at Hello Glow, “There are some ingredients that you almost can’t go wrong within DIY skincare. And honey is definitely at the top of the list.” It’s a natural humectant that draws in moisture, antibacterial, and full of antioxidants! Use it in a lip balm to moisturize, soften and soothe dry lips. Believed to have antimicrobial benefits when used internally and externally (Mercola, 2016) coconut oil has intense moisturizing benefits for the skin. It is a saturated fat that melts and absorbs into the skin rapidly. All of which makes it great for lip balm! Learn more about carrier oils with the Oils By Skin Type Chart in the Resource Library. 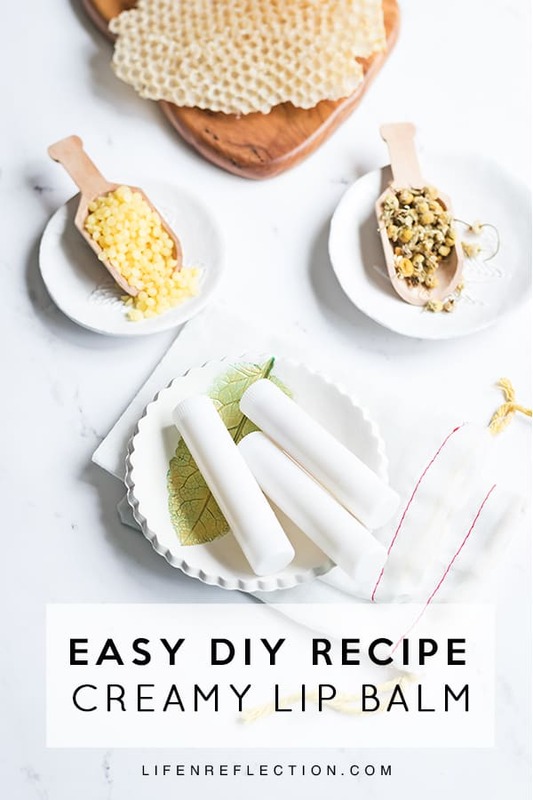 In a double boiler, melt one and half teaspoons shea butter, one tablespoon coconut oil, and two teaspoons beeswax pastilles on medium heat until all wax pellets have dissolved. Promptly remove from heat and whisk in half a teaspoon honey, six drops chamomile essential oil, and four drops lemon essential oil. Carefully pour or pipe into lip balm tubes (these are the ones I use) with a pipette dropper while the mixture is hot. Allow cooling, approximately 30 minutes before covering lip balm tubes with lids. Keep your lips moisturized with the best natural ingredients for lip balm! 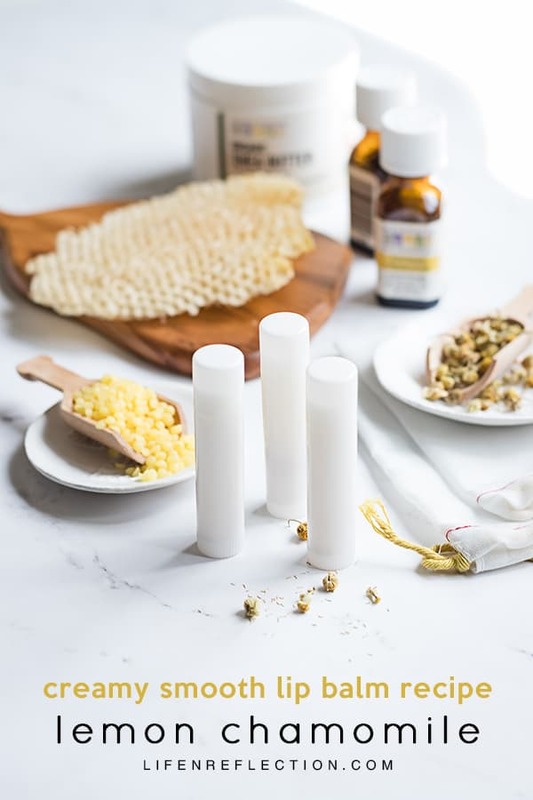 The healing chamomile and toning lemon essential oils in this lip balm recipe will rival the store bought lip balms without a doubt. Harmon, W. (2017). Herbs and Essential Oils. (n.p. ): Author. What a great idea. Thanks for sharing this post. Welcome, how could I keep this recipe to myself? Looks really awesome. Thanks for sharing this DIY tutorial. Thanks, it is so quick to make and the lip balm will last you quite sometime!